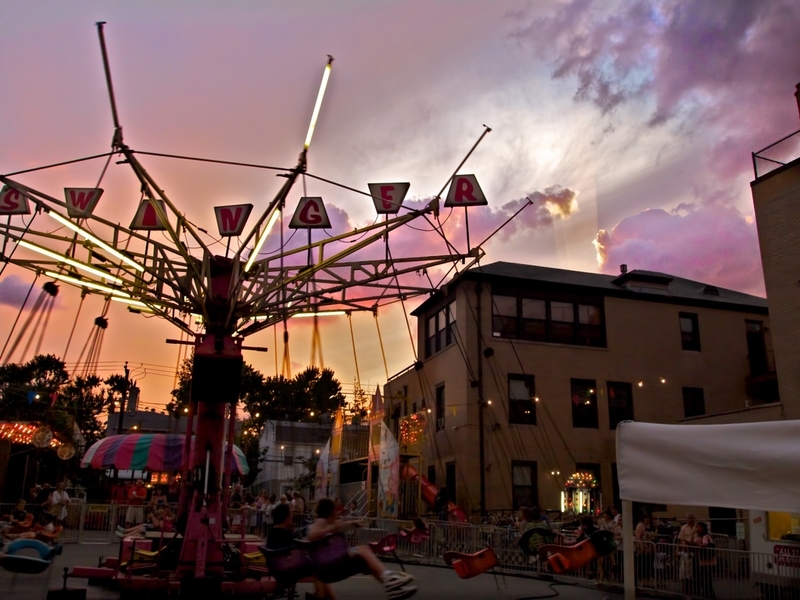 Can you smell the zeppole, fried Oreos, and sausage and pepper heros? Because I was standing right next to the booths that sold them. Our parish bazaar was this weekend. We did the rides first, then went inside for various games involving bean bags and hitting targets. When we went back outside on our way home, we saw this amazing sky, with its mix of beautiful and sick colors, plus that odd shaft of light in the right half that seems to be coming from the ground up. Filed Under: Churches, Cities, Night, NYC Tagged With: 14-42mm, E-PL1, New York, Night, Queens, St.
That ray of light does look odd, almost manufactured! Nice catch Mark! The sky is truely amazing! What a wicked cool sky, and that is a fun ride! Now I know where the deep fried Oreo photo came from! Wow Mark! Fabulous capture, my friend! I love that color in the sky, and the rail of light there coming from the ground, as you mentioned, is really quite extraordinary! Nice capture – I really like the tractor beam on the right – maybe it’s summoning something to the bazaar! I love it. What a great sky for backdrop.